Hey, friends! It’s time for a new episode of Mousterpiece Cinema, and this week, Josh and Gabe are in a festive mood! 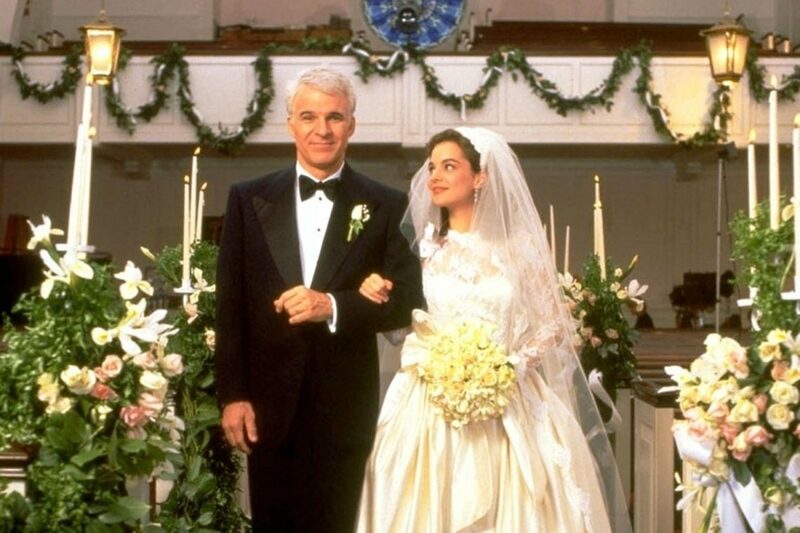 Well, honestly, it’s more accurate to say that Josh and Gabe are in a particularly punchy mood as they discuss the 1991 remake of Father of the Bride, starring Steve Martin, Diane Keaton, Martin Short, and more. Why so punchy? In spite of this being our second post-election podcast, it’s the first one we recorded after the 8th, and if you were hoping that meant we’d avoid talking about non-upbeat stuff…well, just skip ahead to 10 minutes into the podcast. (You’ve been warned.) But don’t worry: Josh and Gabe found plenty to argue about regarding Father of the Bride, as well as Diane Keaton. And also Barbra Streisand. What does Babs have to do with this movie? Is this movie actually funny? Does it make sense to sell more hot dog buns than hot dogs? Find out the answers to all these questions on the new episode!